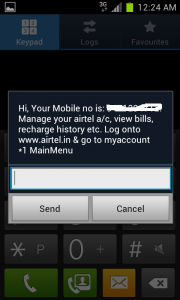 Every time you connect to internet and when you exit internet on your airtel mobile number, your 3g/2g data usage and balance automatically shows on the screen. So, you’ll know your data usage and remaining 3g data balance whenever you disconnect from internet but what if you’re using your airtel sim in unlocked 3g data cards. In such cases, 3g data balance doesn’t show automatically. 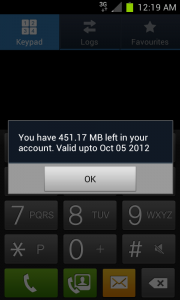 Further if you want to find your remaining 3g net balance before using internet, how will you find it? Well, there is a very easy to remember USSD code to find it. To find 3g data balance on airtel number : On our mobile just enter this : *121*11# and press call button and it will show you remaining 3g data usage and validity on your airtel number. TO find GPRS/EDGE i.e. 2g net balance in airtel, just use : *121*10# and then hit on the call button and this’ll show you your remaining 2g internet balance and validity. Just enter *121*09# and press call button. It’ll then display you a message prompting you to exit menu. Either exit menu by pressing ok button or back button. After few seconds, it’ll automatically show you your airtel mobile number. Dial *141# from your airtel mobile. It’ll display a message saying welcome and blah, blah. Just hit ok or back button. Within few seconds, it’ll present a menu. If just want to transfer certain balance from your account, choose share talktime option by pressing 1 and hitting on send or ok button. You may even gift special tariff packs and vouchers using the option 2. Now Enter the amount in the next step and send it. Now enter the recipient mobile number and sent it. It’ll also display you the balance that will be deducted from your account. 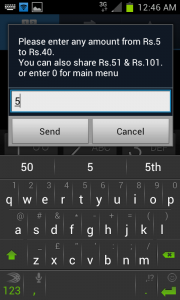 For example, if you transfer Rs 40 talktime, Rs.45 will be deducted from your account. If you transfer Rs 5 talktime, Rs 7 will be deducted from your account. 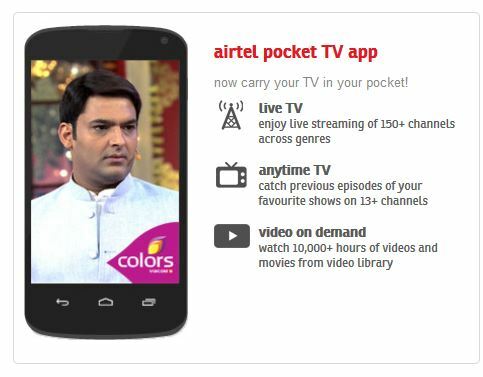 (Note: Balance could be transferred to airtel number only). It will show you a message that your request will be processes shortly. Exit menu. 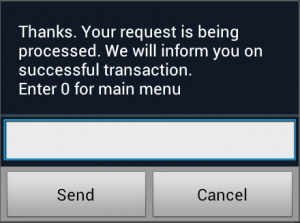 You’ll soon receive a message with confirmation of the balance transfer. What if your balance is zero and you want your friend to call you urgently? You can use this method to send a sms to him asking him to call you back. This works only if you have balance lower than 1 rs. Just follow the step 1 (*141#) and then press 4 i.e. select 4th option – ‘Call Me Back’ sms. Enter your friend’s mobile number and a sms will be sent to your friend. All these codes are called USSD codes( Unstructured Supplementary Service Data) and these work on all airtel numbers in India. If you’re using airtel sim in any data card, then launch your data card application or software and then check its option menu. You’ll find USSD option there. Select that and enter the above-mentioned codes in it and you’ll get the result on your computer or laptop as well. If you still have any question, feel free to ask. 3g net balance is not worked what you defind (*121*11#) so give right way to find out net balance and calls.